“Which room are you?” A nurse says. She’s young, pretty: long black hair tied in a ponytail. She pulls my chart down from a shelf, looks along it. “You’re not due anything for the moment,” she says, shaking her head. “What’s your name?” She says. “Tanya. Tanya Marshall,” I say. “Thank you,” I say, slinging my bag of drains over my shoulder and shuffling down the corridor back to my room. “Morphine. Clonazepam. Codeine. A chat. Am lonely and anxious and in pain,” I say. “OK, so, I’ll bring some of your 12 o’clock pills,” she says. 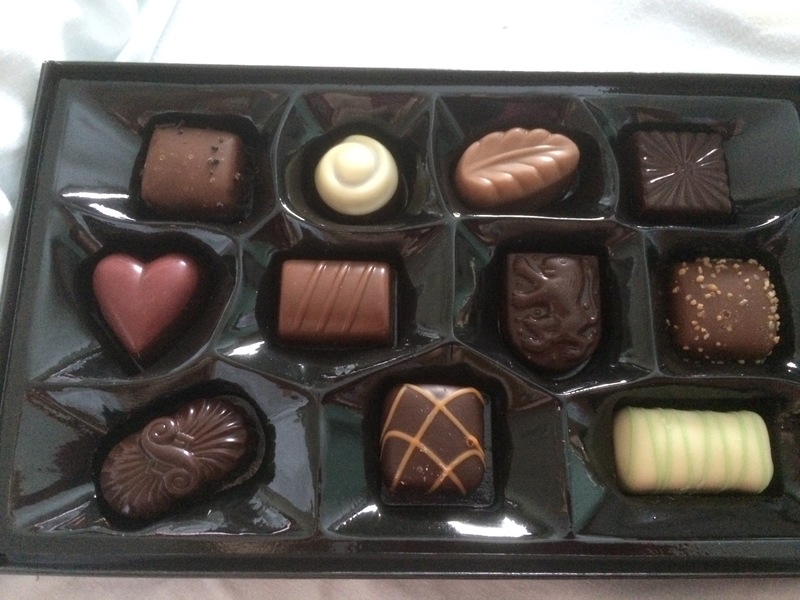 The attached photo is some flowers and chocolates from my darling brother. This entry was posted in Uncategorized and tagged #anxiety, #bipolar, #bipolardisorder, #breastcancer, #breastcancersurgery, #breastcancertreatment, #clonazepam, #hospital, #manicdepression, #mastectomy, #mentalhealth, #mooddisorders, #morphine, #pain, #surgery. Bookmark the permalink. How long have you got to stay in? It sounds miserable.